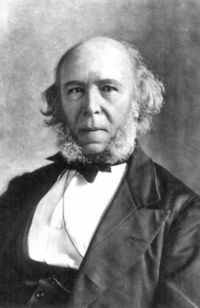 First Principles, Herbert Spencer (1862-99) — Spencer sets forth the fundamentals of his philosophic views. The Man versus the State, Herbert Spencer (1884) — How the servants try to become the masters and majorities become oppressive. The Right to Ignore the State, Herbert Spencer (1884) — Spencer's views of the state from a civil liberties standpoint.